Just like the face, our ears age. 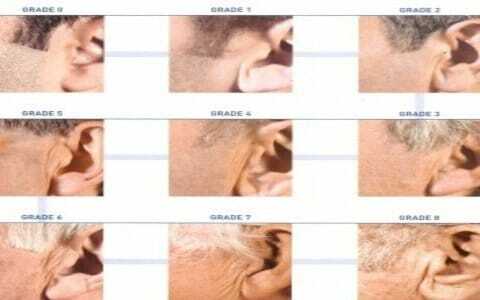 Pre-auricular wrinkles which appear with time, can be improved by a face lift. 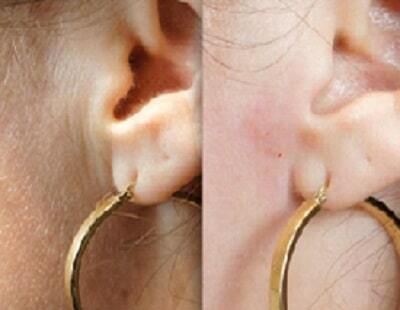 As the years pass, the lobe becomes atrophic, and descends, especially if overly heavy earrings are worn. 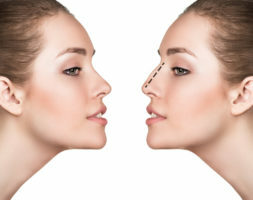 Due to their lengthening and their new position (the lower limit of the lobe is lower than for a youthful lobe) the ears thus age the face. The benchmark treatment is hyaluronic acid injections which can be administered by needle or cannula. For lobes a moderately thick (Restylane type) or strongly reticulated (Restylane Perlane type) product is used. This injection is mainly done by needle. Pierced ears do not prohibit this procedure. A peel or Erbium fractional laser treatment may also be used for pre-auricular wrinkles. The product stays in place for about a year and a half. The ablative laser is indicated for the treatment of pre-auricular wrinkles. Stimulation of the dermis synthesis smooths out these wrinkles. After treatment a redness lasts about a week but it’s easy to hide. Because of wearing heavy earrings, my earlobes were sagging. Doctor Romano made injections which truly made things better. I’m very pleased with the result. The result is just sublime, I have perfect ears now. Always attentive, she proved to be of an exceptional professionalism, always available for the slightest question. I can’t find the words to describe her professionalism « never seen before ». Rejuvenating of my ears, it’s exactly what I wanted ! I’m not at all neurotic about my ears anymore, the work is truly beautiful, natural results just as I wished. Laser 150€ each session, it needs 2-3 sessions.